In earlier times, underwater photography has been a very expensive leisure pursuit. Special camera casings cost a lot, and there has been a limited stock of cameras that are exclusively customized for underwater photography. But with the advancement of technology today, digital cameras with built in casings are now prevalent at a much affordable price, making underwater photography an inexpensive and a pursuable hobby. It is a general rule for aspiring underwater photographers to first experience diving for at least 20 to 30 times so that they can adapt themselves to the water environment, develop confidence underwater and hone their buoyancy skills before using their cameras. Also, a good knowledge on aquatic and marine environment can be a great edge for a better underwater photography experience. Underwater photography can be best experienced with some decent know-how about the hobby. When taking shots of fishes and other moving objects in the water, you should always remember not to chase them. You should learn how to anticipate their movements for you to obtain great shots. If you are aiming to photograph unusual aquatic objects, whether living or non-living, it is best if you have knowledge about their habitat, nature or even their life-cycle. You should know where to locate them and what they usually eat for survival. In this profession, it always pays to know your subject. Aside from the need for knowledge about your subject, you should also be acquainted with your own underwater camera. You should spend time to prepare and adjust settings in your camera before you plunge it underwater for photography. 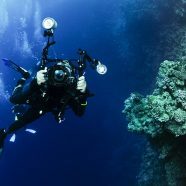 One common problem encountered by many underwater photographers is the “backscatter” caused by built-in camera flashes. A haze, whitish in color, appears in your picture as the light from your camera flash reflects off plankton or sediment particles in the water. To avoid this, you can make use of an external strobe light situated at a reasonable distance away from your camera so that light won’t reflect back that harshly into the lens. Another thing you need to be knowledgeable about is adjusting your zoom settings. Just like how a straw looks bent in a glass of water, zoom settings in the water are narrower. Thus, if you’re aiming a wide-shot angle with similar results as that when you’re off the water, you should at least move back a little further. 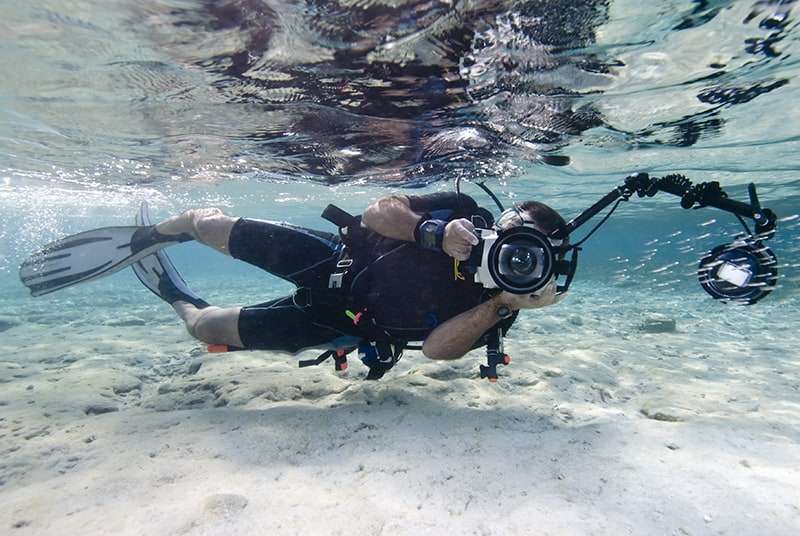 But many of today’s advanced underwater cameras already have wide-angle zoom feature, which enables you to capture great wide-shot angles without the need for you to move back too far. It is recommended that after a diving session with your camera, you should check for some tiny particles that might get inside your camera buttons. Also, you should submerge your camera casing into a bucket of clean water to avoid crystallization of salts from saltwater that might cause unwanted leaks. With the right underwater camera, quality knowledge and know-how about the marine environment, good understanding of basic beforehand preparations and some passion for photography, you can have the best picture-taking experience ever. Hi, I'm Michell. 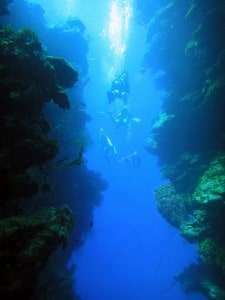 Welcome to my website with endless knownledge about scuba diving. I'm a certified padi divemaster with a huge passion for diving. Currently I'm working as a school teacher in UK while saving up for my next scuba vacation. Please share your thoughts with me in the comments, I'd love to hear from you.